As you are looking for a gas log fire for your home, its important you are aware that not all gas fires are compliant for every home. 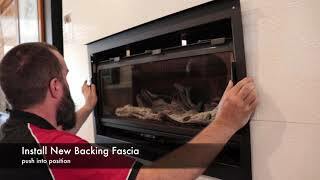 In Victoria, its becoming law that gas log fires require “Out Side Air” or “Balanced Flue” to bring in oxygen from outside into your heater to not only ensure the air quality of your home, but also to ensure the heater is resistant to prevent negative pressure homes ( that’s when your home can actually cause the gasses to enter the room ) – The Esprit Gas Log Fire is designed and tested with Balance Flue technology, its set up to use only the safest flue system available, Duravent, and is perfect not only for new high star rated homes, but for any older home too. 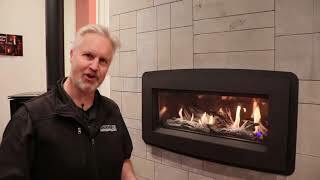 NOW AVAILABLE.....The Esprit linear gas fireplace offers Pacific Energy’s highest level of quality, technical innovation, and engineering in a modern landscape. For maximum heat and ultimate energy efficiency, the Esprit utilises large formed steel heat exchangers and standard one-touch programmable remote controls to provide quick, easy control over heat and added energy savings. Even at the lowest settings, flames are appealingly rich and full to gently warm the room. When designing any heat source, safety is always at the forefront. PE believe that with today’s advanced technologies and materials, there’s no need to compromise aesthetics for safety; all gas units feature an integrated micro-mesh screen that creates a virtually invisible safety barrier. Fine woven black stainless steel reduces filtering of radiant heat, providing improved radiant efficiency while allowing a clear, unobstructed view of the flame. Other safety features include fine mesh filters to remove debris from the fuel and state of the art pressure relief system. The Esprit only uses Duravent Twist Lock Flue. The flue is the best available, and made in the USA. It not only Twist Locks together to secure the best seal, but also is purpose designed to take outside air into your Esprit heater !! This outside air is used for the fire ( Called Direct Vent ) so no more stuffy rooms. 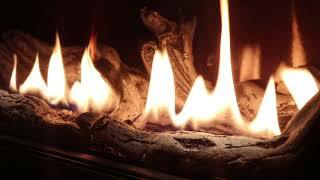 Esprit gas Log Fire : Made in Canada for Australian Winters..